Living in Wisconsin these past five years has been an eye opener across many fronts. One of the biggest surprises is the role that drinking plays in everyday life here. The Tavern League is arguably one of the most powerful lobbies in the state, and as such, rules around drinking are as lax as they are anywhere. Things like laws that make it OK for kids to drink with parents in bars and restaurants, and very light first time DWI ramifications make Wisconsin a drinking wonderland. Now compare that to the place in which we're moving - Utah. 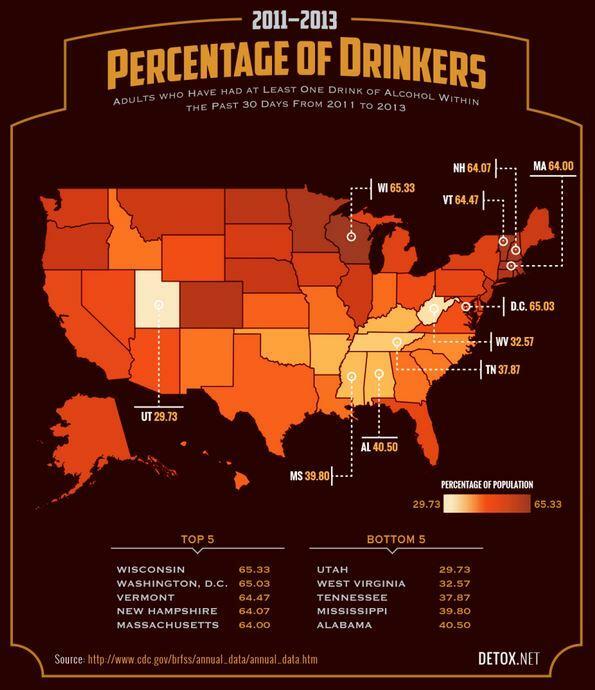 In that state exists the lowest percentage of drinkers in the nation. As one who enjoys a nice adult beverage every now and again, this looks like it will be an education.